The Hunger Games: Catching Fire may be done filming, but fans still have a long wait ahead of them. With another 11 months to go until the premiere, any preview takes us one step closer to that moment. 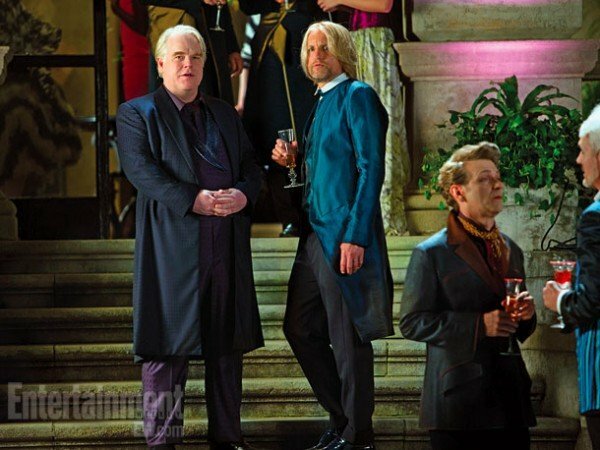 This time around, courtesy of Entertainment Weekly, we have exclusive first look photos of Philip Seymour Hoffman, along with some returning cast members. Hoffman will be portraying the new Head Gamemaker, Plutarch Heavensbee. You might remember that things didn’t work out too well for the last man who held this position, Seneca Crane, played by Wes Bentley in the first film. Crane met an untimely end after the 74th Hunger Games went awry. Two tributes live, one Gamemaker dies – a poetic trade if you ask me. If you’ve read the books, you already know how things end for Heavensbee, but if you haven’t jumped on the book bandwagon yet, you might want to cross your fingers that it works out better for him than it did for his predecessor. Heavensbee will be overseeing the 75th annual Hunger Games and the pressure is definitely on. Besides the added stress of this being a quarter quell year i.e. an excuse to be exceptionally creative and cruel, how can you top last year’s surprise ending? Alongside Hoffman, we get a glimpse of Woody Harrelson as Haymitch, Willow Shields as Prim, Paula Malcomson as Katniss’ mother, and Donald Sutherland as President Snow. Just like the first images released of stars Jennifer Lawrence, Josh Hutcherson, Liam Hemsworth, and new addition Sam Claflin playing Finnick Odaire, there isn’t anything too revealing about these photos. However, they do show us that at least visually there is consistency between the first two films in the franchise despite Gary Ross not returning to direct the sequel. 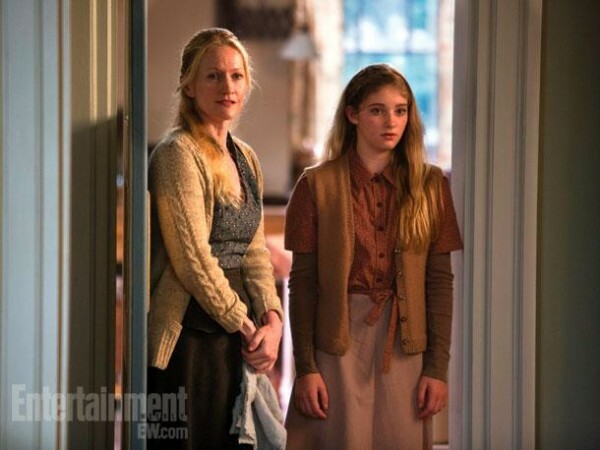 I am intrigued by the photo of Katniss’ mother and sister in what I can only assume is their new home in Victors’ Village. 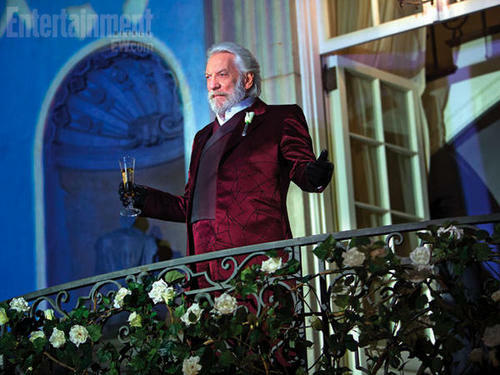 Compared to their former digs, it will be interesting to see what District 12 considers to be luxury. Check out the latest images from The Hunger Games: Catching Fire and let us know what you think.